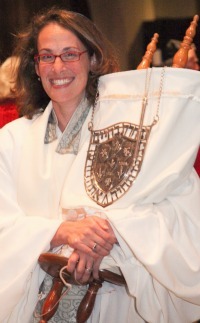 Rabbi Mack currently serves as the President of the Board of Rabbis of Greater Rhode Island, on the Jewish Alliance Board, the Religious Coalition for a Violence Free Rhode Island, and the RI Interfaith Coalition to Reduce Poverty. She worked diligently to promote Marriage Equality in RI and continues to promote social justice in Rhode Island with interfaith colleagues from Religious Coalition. Rabbi Mack and her husband Jeffrey Isaacs enjoy raising their two sons in the smallest state in America.